The Patriots came off the bye and despite a very uneven first half where they should have been up by two scores but were tied at 10, dominated the second half for the win. And while they let the Jets, losers of four in a row hang around for the first half, they leaned on the running game and outscored Gang Green 17-3 after halftime to secure a 27-13 victory and move into the #2 seed for the time being in the AFC a game behind Kansas City. The defense also played much better and more aggressively in the second half holding the Jets to just a field goal. Ryan Allen on Special Teams was outstanding, never allowing dangerous return man Andre Roberts a clear path to return the ball. Tom Brady, it should be noted was not spectacular but he was very good, attacking downfield, spreading the ball around and was extremely efficient, averaging 9.1 yards per pass play. Brady finished 20-31 for 283 yards with 2 touchdowns and no interceptions for a QB rating of 115.4. Which were all of the things he didn’t do well in Tennessee two weeks ago. Eight different Patriots receivers caught passes as the offense rolled up nearly 500 yards with a great amount of balance between the passing and running games. He had a few bad throws in the first half, but he also had some really nice heaves downfield. His 34-yard touchdown pass to Gronkowski was a beautiful arc and put it right in the bucket. But his best was arguably on the Pats final scoring drive. Facing a 3rd and 10 at the Jets 47, Brady lasered a deep out pattern to where only Josh Gordon could catch it for a gain of 17 yards. 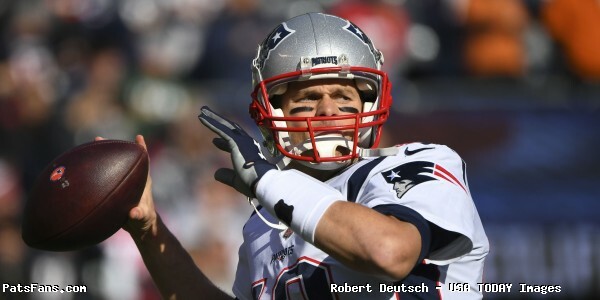 Brady targeted his top five receivers on the day 21 times and completed 16 passes for 269 yards and two touchdowns. That is very economical and again…efficient. Sunday was the Sony Michel show, Michel had 133 yards on 21 carries and lost about 45-50 more because of penalties behind the play. He averaged 6.3 yards per carry and scored on a one-yard touchdown. He also caught two passes for 12 yards. He displayed excellent vision and ran behind his blockers but knowing when to cut back against the grain and a very nice burst once he got into the open field. James White added in 72 yards on 9 carries on the ground on a day where he caught just one pass. Normally he and Brady are in lockstep but Sunday, in the passing game they were out of sorts a bit. Brady targeted White 5 times but they connected only once for just five yards. Cordarrelle Patterson stepped in when Michel was shaken up for a bit and added a couple of key first downs. The wide receivers were all involved efficient, and productive on Sunday. Julian Edelman was the most productive catching four passes for 84 yards. He jumped started the offense on the Pats opening drive beating Morris Claiborne at the line and catching a 36-yard pass. He was outstanding. His 3rd down reception in the second half was a terrific play worked perfectly in sync with Brady. Josh Gordon had five catches for 70 yards and while it may not have been a huge numbers day for him, his game, like everyone else’s was very efficient. The communication with he and Brady is improving every week and Sunday was more proof of that. Chris Hogan was targeted twice and had two catches for 47 yards. Phillip Dorsett chipped in with a pair of catches. 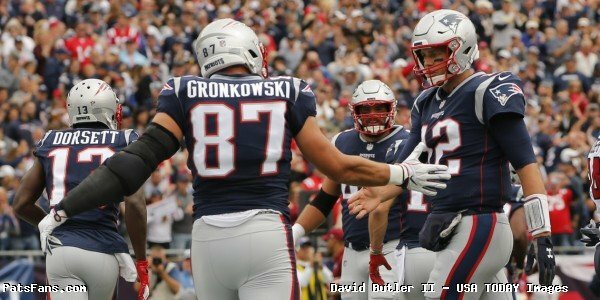 Rob Gronkowski was back in the fold and was looking like his normal self in the passing game as well as in the running game where the big man is like a road grader. He caught just three passes for 56 yards but one of them was a 34-yard score in the first quarter for the team’s first touchdown. He and Brady didn’t connect later on several red-zone attempts but as we’ve said here many times, there are rules for covering receivers downfield in the NFL and then a set for Gronkowski. He’s been tugged, held and been the victim of helmet-to-helmet contact and not given a flag more than any other player we know. The offensive line was outstanding on Sunday, as they had the entire group back in the fold and it was obvious, especially in the running game. While Brady was never sacked, the Jets had some pressure in the first half but they solved those issues with some halftime adjustments. The biggest, however, was the commitment to the running game. The team made a concerted effort to run the ball in the second half and they did just that. When your team rushes for over 200 yards and your backs average over six yards per pop, your offensive linemen are a happy group because it means that they’re being physical and aggressive up front. The only issue it seemed, and it was team-wide was penalties. Shawn Hochuli’s crew is known as a flag-happy bunch and the Pats OL had four that we saw, Trent Brown twice, Joe Thuney and David Andrews. The defensive line had a kind of Jekyll and Hyde day. In the first half, they stuffed the Jets running backs, allowing just 16 yards. But the pass rush was non-existent and Josh McCown had all day to throw the ball. In the second half, the defense picked up with the pass rush but the Jets ran the ball much more effectively and ended up rushing for 74 yards on 15 carries. The yardage is nothing to worry about but the 4.9-yard average is a bit concerning. While a chunk of that was McCown scrambling, it also leads to containment issues. Trey Flowers stood out once again with a sack and four QB hits. Deatrich Wise also had a sack and 3 QB hits. But consistent pressure is and has been an issue for this team all season. The Patriots linebackers had a solid game with Kyle Van Noy being the standout player from the group. He did a terrific job setting the edge and stuffing a runner for a loss and when he blitzed he knocked down one pass and on another crunched McCown with a thunderous hit. Dont’a Hightower was solid in the running game but got caught in pass coverage and was in chase mode and appeared to be plodding. Elandon Roberts had his usual mixed bag. He made a couple of nice run stuffs and like every week, a play where he totally whiffed. He overran Isiah Crowell on a screen dump off and it turned into a 19-yard pass play. Overall, the play of the linebackers was solid and they helped hold the Jets offense to just three points after the break. The secondary had a rough start but in the end, McCown averaged just 6.1 yards per pass attempt and scored just 13 points. He finished with a QB rating of just 73.9 which they’ll take every time. Stephon Gilmore and Devin McCourty each had big bounce-back games. Gilmore was back to his being his shutdown self on Sunday. He had two passes defensed and a nice interception where he got body position and hauled in a deep pass from McCown at the Patriots two-yard line. Jonathan Jones was getting picked on underneath in the slot and was burned once too often and was benched for J.C. Jackson. Jason McCourty got torched by Jermaine Kearse for 41-yards but Gilmore intercepted the next play. McCourty got a bit of revenge, however, knocking away a 4th down pass in the end zone on the Jets’ garbage time drive with a minute to go. McCourty, Pat Chung, Duron Harmon, and Obi Melifonwu (in a limited role) were part of the reason the Jets scored just 13 points. But covering tight ends remains an issue for this team. Although most of the passes were in front of them, it is something that needs tightening up. The Special Teams had a nice game and was led by Ryan Allen who was simply outstanding in this one. Allen averaged 46.0 yards per punt but he angled them to the sideline where they either bounced harmlessly out of bounds or gave the dangerous Andre Roberts nowhere to run. He had one punt return for one yard. That was an area that we wrote we were concerned about and Allen was terrific. Stephen Gostkowski was perfect on his three extra points and two field goals. The coverage units allowed one big return to Roberts for 35 yards but held the other one to just 17 on kickoffs. The return game netted zero on the day as the Jets boomed the ball out of the end zone to Patterson and had solid coverage on Edelman. The Patriots coaching staff had a very good game plan coming into this one, and although the performance was sloppy in the first half, they made very good adjustments at halftime and dominated the final 30 minutes, outscoring the Jets 17-3. The playcalling of Josh McDaniels remains confusing at times, especially in the red zone. They are intent on targeting James White and Gronk inside the 20, so maybe it is time to mix things up some by calling other players’ numbers to give opposing defenses something else to think about. But on a day where the offense rolls up nearly 500 yards? You can’t fault them too much. Defensively, Brian Flores saw that things weren’t working in the first half and got more aggressive in the final two quarters. They really brought some pressure finally on McCown and the results spoke for themselves. While we’re not going to get too excited because they’re the Jets offense, like Bill Belichick said, the Jets always play them tough, especially in the Meadowlands. 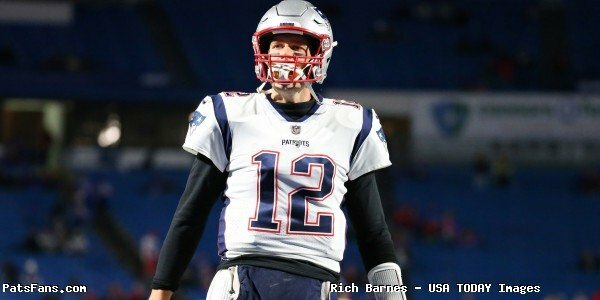 This entry was posted in 2018 Patriots Regular Season, NFL Commentary, NFL News, Patriots Commentary, Patriots Film Room, Patriots News and tagged 2018 Patriots season, Chris Hogan, Devin McCourty, Dont'a Hightower, James White, Jason McCourty, Jermaine Kearse, josh gordon, Josh McCown, Julian Edelman, Kyle Van Noy, Morris Claiborne, New England Patriots, New York Jets, NFL, Patriots, Patriots edge rushers, Pats, Rob Gronkowski, Sony Michel, Stephon Gilmore, Tom Brady, Trey Flowers on November 26, 2018 by Steve Balestrieri. In this episode of Patriots Fourth And Two, we discussed all the draft picks for the Patriots, along with talking about the trade for Trent Brown. 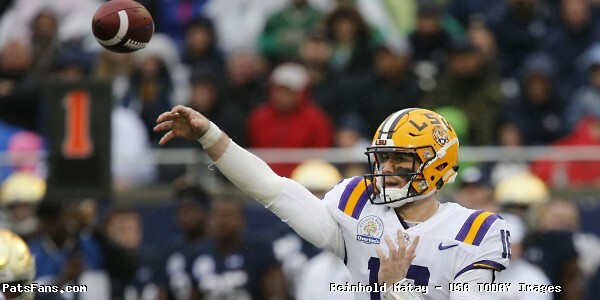 However, we started the show by focusing on quarterback Danny Etling, who the Patriots drafted in the seventh round. This entry was posted in Patriots Podcast and tagged 53 Man Roster Projection, Bill Belichick, Dont'a Hightower, Jimmy Garoppolo, Julian Edelman, Malcolm Butler, Pats, Tom Brady on April 30, 2018 by Russ Goldman.